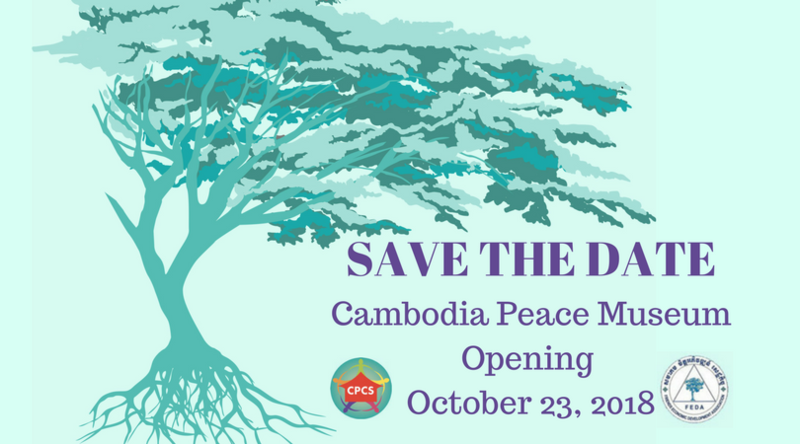 The Centre for Peace and Conflict Studies is pleased to announce that the Cambodia Peace Museum will open on October 23, 2018. CPCS has chosen this date of the 27th anniversary of the Paris Peace Agreements in line with our aim to celebrate Cambodia’s journey from war to peace, with the agreements as a major moment in this journey. The museum will open with exhibits that focus on peacebuilding initiatives that helped to move the country beyond its turbulent past, and mechanisms for healing and reconciliation that contribute to the resilience of Cambodians. The mark the occasion of the museum’s opening CPCS will host a week of events in Battambang. More details to be announced as we move closer to opening the Cambodia Peace Museum!